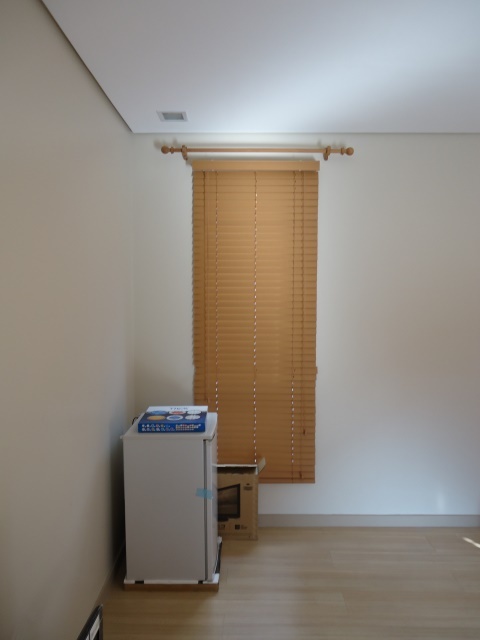 Faux Wood Blinds is also called artificial / fake wood blinds. It is a combination of adhesive and vinyl. Faux wood blinds is less expensive than real wood. It is also a better looking substitute for real wood and the process of making are starting to become more environmentally friendly and advanced. 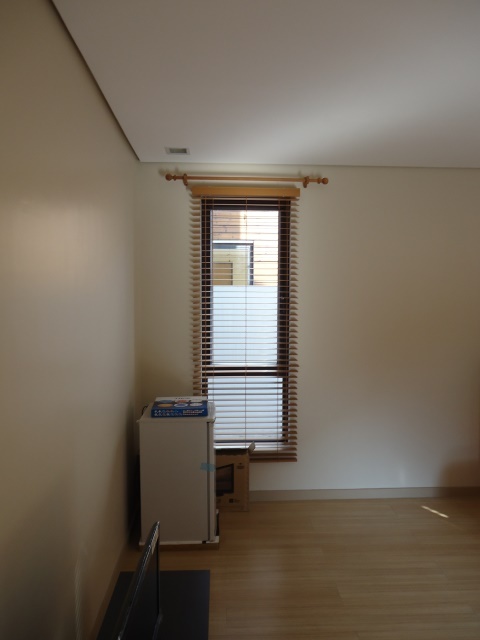 Our client from Parang, Marikina City who opted for Fauxwood blinds had a wide window in her room. Before, she preferred curtain as window dressing for her room, but due to its light-weight, the wind always blown it up, letting irritating sun rays enter her room. She also got disappointed with the curtain when it comes to maintenance that is why she chose Faux wood blinds. If you are planning to purchase window dressing for your home, always keep in mind that you should choose the right window dressing for you to feel more comfortable and secure. Faux wood blinds are also versatile when it comes to the selection of material and its sizes because blinds in DS Windows and Walls Interior Supply are all custom-made and has various options for the color and finish. Faux wood blinds will work in any area of your home. Its various colors and wood finishes will surely coordinate with any of your home interior including wall paint and sofa. For inquiries regarding the products and services of DS Windows and Walls, just call us at (02) 893-1373 / 0916-311-3909 or email us at inquiry@dswindows.com. For actual samples of our products, you may visit our kiosks at 2nd level Pacific Mall Lucena City, 3rd level Robinsons Metro East, Pasig City and 4th level Waltermart, Makati City. You may also browse our Facebook page and like us at www.facebook.com/windowblindsphilippines and www.facebook.com/blindsphilippines.